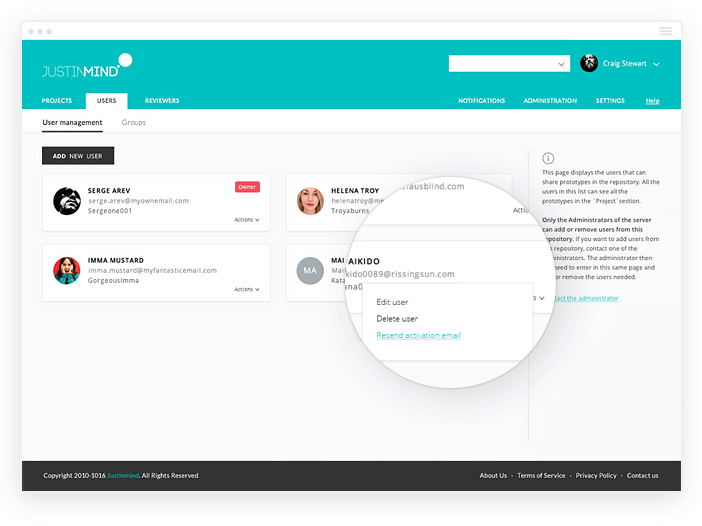 New and enhanced onboarding experience, advanced scenario and requirements features and all round improvements for Justinmind’s user interface and interactive elements. Read on for the lowdown on our brand new release. We’ve been working behind the scenes to improve your Justinmind experience. This release includes changes to the architecture of our software, such as improvements to our scenarios and requirements features. It also introduced some more visible updates to the Justinmind editor, such as a new onboarding experience and our brand new Boostrap Web Components UI kit for web prototyping. And last but not least, we’ve improved the online account experience with enhanced user management and clearer account settings. Below you’ll find more details, plus links to tutorials to guide you through some of the changes more thoroughly. We have introduced a new onboarding experience. When new users open Justinmind for the first time, they will have two options to get started with. The original, classic “full” mode (“Expert”), which includes the complete range of floating palettes by default, remains. The difference is the “beginner” mode, which uses a progressive onboarding technique. Upon being selected, it guides the user through the user interface with a series of interactive tooltips with clickable learning materials that take the user either to our Support section or our video tutorials on YouTube. This view has fewer floating palettes on display, so that novice users can take it step by step. Users can switch between modes just as easily by going to the ‘View’ option in the main menu at the top of Justinmind’s editor. We’ve totally revamped the Justinmind online account. Now it’s even easier to navigate through your account, and manage your users, subscriptions and licenses, and billing info. Take a look at the new Online Account tutorials! Our new release also includes updates to Scenarios. 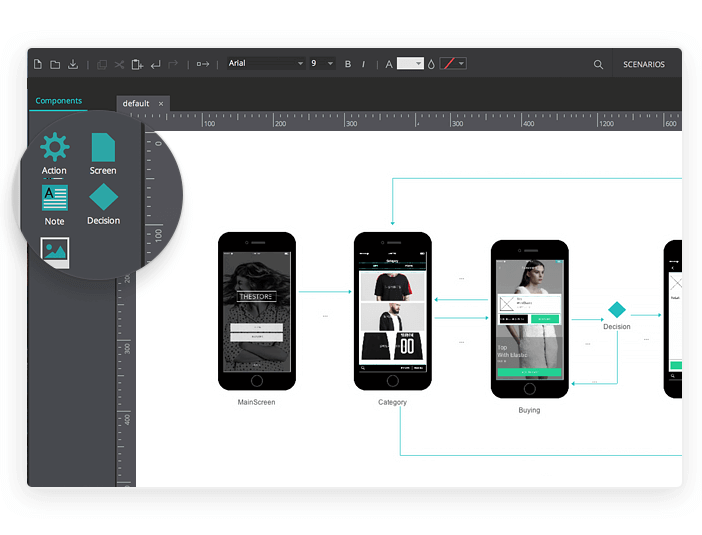 Our Scenarios feature helps you to visualize your user navigation flow in your prototypes. Most of the changes have been made to the technology behind the scenes, so they might not be so obvious, but they are needed to keep on improving this important feature. First off, we’ve updated the appearance of the Scenarios tab. Originally, scenarios were displayed on a negative space canvas. Now, the scenarios tab is configured with the same technology as the user interface tab – with a white canvas that expands as you place elements on screen. Apart from this, we’ve made some improvements to the components you use to build your scenarios. For instance, we added an option to add images to your scenarios, which will make your diagrams clearer. We’ve also improved the note component, now complete with multi-line text input and text alignment functionalities. Additionally, it’s now possible to copy and paste components in your scenarios to add them to other scenarios, or to the same scenario. Finally, you can now order your scenario’s components. And the best is yet to come! With the new backend technology in scenarios, more and better improvements will come in the next releases, to make your diagramming easier and smarter! The Requirements’ features for Justinmind Enterprise are now more powerful than ever. 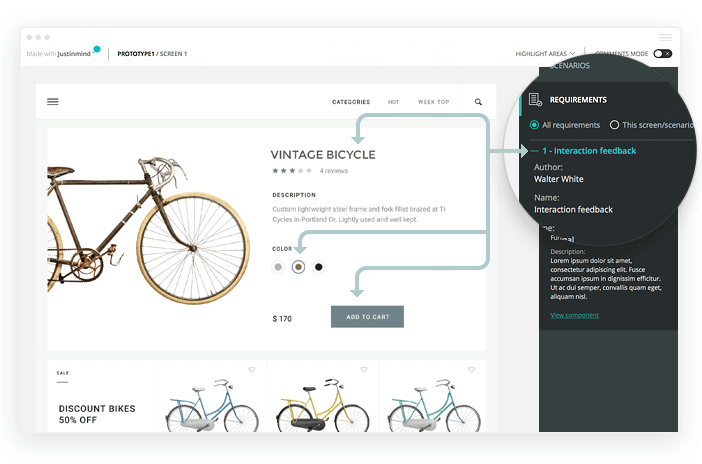 You can now add a requirement to multiple elements in the user interface – making it even easier to manage your requirements alongside your prototypes. Excited? We are too! 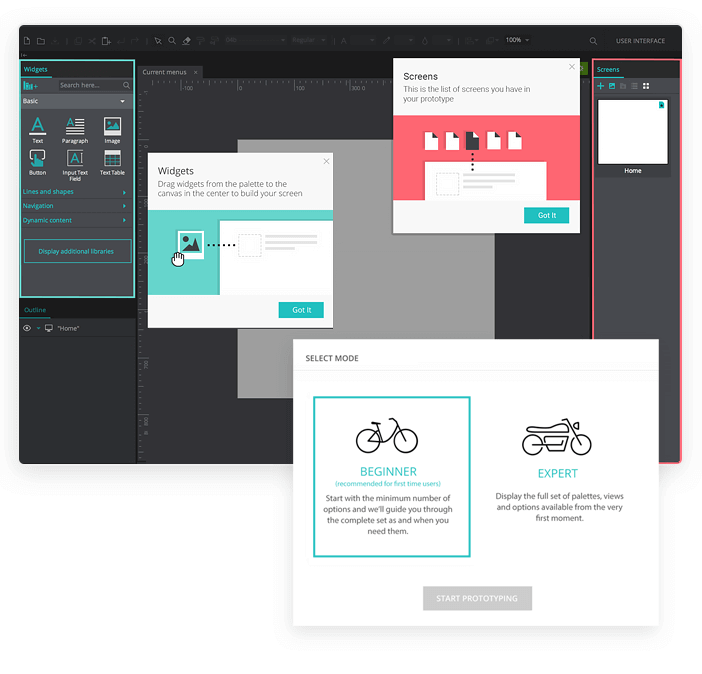 Update your Justinmind prototyping tool now to see all our updates for yourself. You can do so by clicking on the link below.